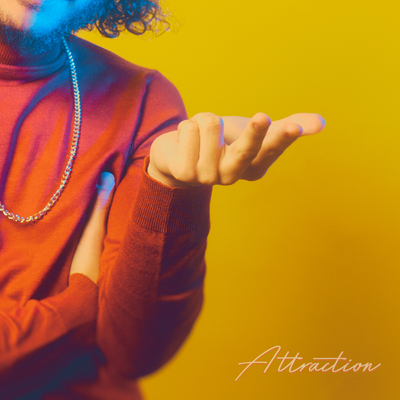 Melbourne-based synth-pop poet, Seattic has now announced his dreamy new single Attraction, a mesmerising modern throwback to a lost eighties sound out December 14 th . The enigmatic artist has also unveiled his debut album Retrospeculation, a project that has been four years in the making which will feature his previous singles including Attraction and is set for release February 22 nd. 2018 has proven to be a tumultuous year for Seattic, not only including the artists' inception, but a mini east-coast tour including shows in both Melbourne and his hometown of Brisbane whilst also releasing 3 singles Young, Hey Girl and Coming Back. Beginning in March with the release of his successful debut single Hey Girl, Seattic was able to set the standard for modern age synth-pop, showcasing crystal clear mixes comparable to The Kite String Tangle along with captivating lyrics and melodies. Attraction is no different. Featuring an up-tempo swing that can persuade the listeners to move, it feels like a party on hill at a summer festival. 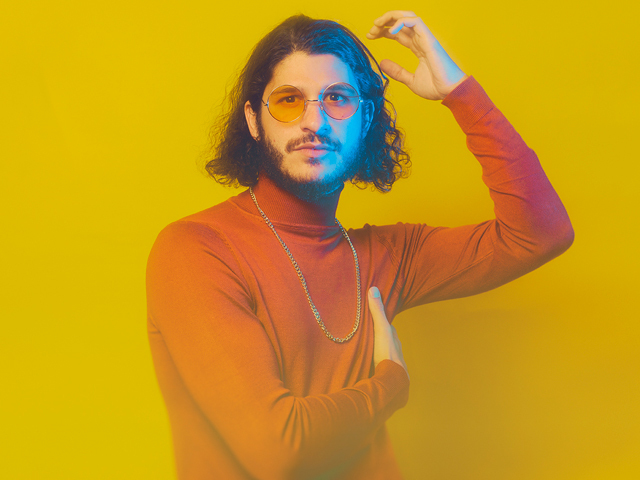 With a sound similar to a blend between Client Liason, Phil Collins and Tame Impala, Seattic is hitting the industry with a brand new wave of an old sound. Recreating something that was lost whilst telling stories of love lost, love found, love lost again, and everything in between. "I hope people will experience the ride of a relationship throughout the record, not just the highs, not just the lows but a full cycle." - Seattic With a further 6-songs still to be released from the album and the fast approaching release date, Retrospeculation is something to get excited for. Keep an eye out for a launch gig and follow his socials below. Attraction will be available on December 14th and Retrospeculation is set for release February 22nd. Seattic: I would describe my music as trying to take the best parts of cheesy 80s music and turning it into something new and leaving out the bad cheese. Question: What can we expect from your upcoming debut album Retrospeculation? Seattic: There was a bit of a theme to the singles that have already been released but on the album it ventures outside of that. There are some psychedelic elements and RnB moments that haven't come out in the existing releases. Question: What inspired the move to Melbourne? Seattic: It's a better city, hands down (laughs). Seattic: My favourite song to perform is the title track Retrospeculation. It's a long instrumental track that we extend out to become really dancey when it's performed live. Seattic: Wow! Mark Ronson and Kevin Parker and only if I played well (laughs). Seattic: Recording for sure because it feels more creative to me, I'm happiest in the studio. Seattic: The motivation is always reaching for that new sound, trying to create something different. Seattic: Picked up a guitar when I was younger, joined a band called Tourism, had some wins but when we went our separate ways, I was inspired by the challenge of doing something scary and making something so far from what we wrote (laughs). Seattic: I'm not sure how I'd quantify success, but the biggest challenge ongoing is that you always go down a rabbit hole when writing a song. You just don't know how it's going to be perceived. By the time you've already finished the first version you're already in too deep. Every musician dreams of listening to their own song with fresh ears, hearing it for the first time, not the 900th (laughs). Seattic: Being self-employed for nearly eight years, I actually do a lot in the tech and creative world which bites up a lot of my time. But I'm currently working on launching a music industry startup that I'm super excited about! Seattic: Challenging myself for sure. Question: Can you tell us 5 things required for a happy healthy and enjoyable life? Seattic: 1. Music, come on. all in no particular order!